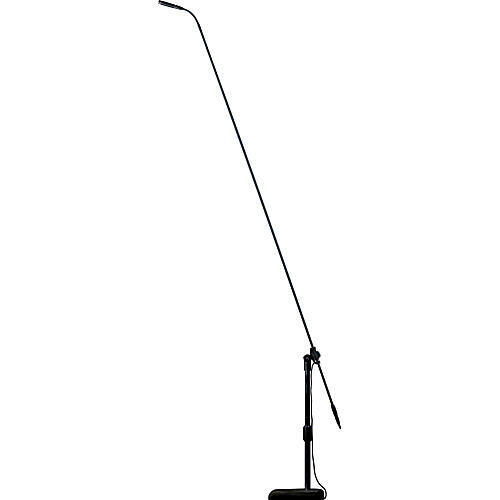 The Audix MB5055 package includes the Audix MICROBOOM-50 Boom System fitted with an Audix M1255B Mic capsule. The M1255B has complete immunity from RF interference caused by cell phones and GSM devices. The M1255B, which is equipped with a cardioid capsule, is also available with hypercardioid, omni or supercardioid (shotgun) capsules, giving the microphone the unique ability to be used in a wide variety of live, studio and broadcast applications. A wide array of optional clips and accessories (sold separately) allow the M1255B to be used for musical instruments, overhead stage miking, podiums, conferences and presentations.